Fully furnished offices and meeting rooms, with the latest in telecommunications technology and a comprehensive range of support services, are available at the former Farnborough town hall building. There is a large on-site car park. 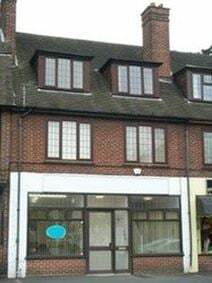 The building is within walking distance of Farnborough Main railway station, and has easy access to the M3 and M25. A prestigious office building in a business park setting. Offices are offered on flexible terms, with reception, meeting rooms, kitchen areas, and a full range of support services. There is a shuttle bus service operating from the park to Farnborough town centre and main railway station, which provides services to London Waterloo. For road access, the space is close to the A327 and A325, with fast links to the M3 and M25. Within a five-minute walk of the station this bespoke-designed modern office space provides a range of managed solutions ranging in size from 140 to 10,000 sq. ft. Located close to the mainline railway station, you can reach London Waterloo in just 40-minutes, and Heathrow and Gatwich Airports are easily accessible. Farnborough Town Centre offers a range of amenities including places to eat, drink and shop. A Farnborough business centre offering unfurnished office space on short term flexible leasing contracts. There is a staffed reception and an on-site car park. Situated close to the town centre and main rail station, for services to London Waterloo. Conveniently located for access to the M3 and M25. These offices at Lynchford Road in Farnborough are close to the M3 and A30, as well as local shops and restaurants. 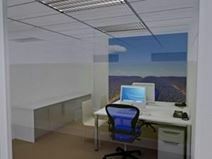 The spaces are newly refurbished, and rent includes bills and rates. This is a comfortable and welcoming business environment. 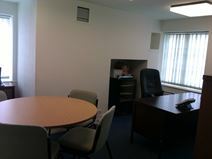 Recently refurbished, fully carpeted, high quality office suites, available on flexible terms. Accommodation is on two floors, with toilets on each floor, a communal kitchen, and a secure entry system. Located in North Camp, to the south of Farnborough, close to the Farnborough Road and A331, for links to the M3 and M25. Built in 1741 this character building has been recently refurbished to 21st century standards. There is a free-to-use meeting room available for tenants of the office space while a good-sized on-site car park is also available. All a 10-minute walk from Farnborough Town Centre.